The recent introduction of the common Asian toad to Madagascar has led to fears that the toxic amphibian could wreak havoc on the island's already severely threatened fauna. 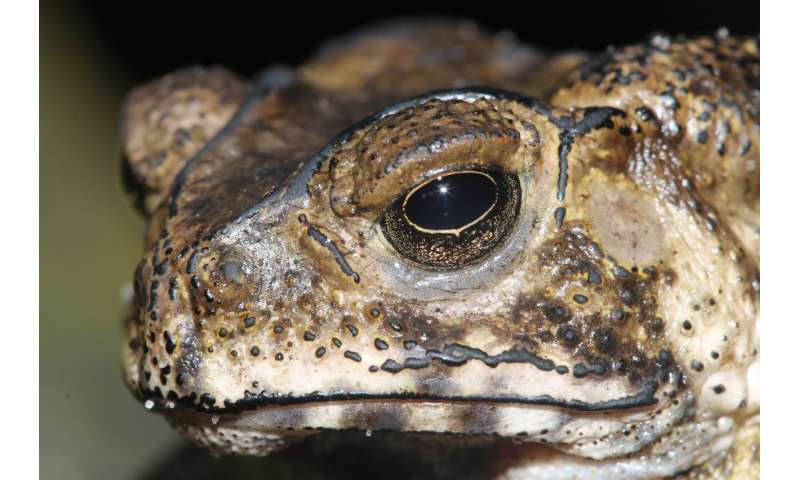 Now, researchers report genetic evidence in the journal Current Biology on June 4 showing that those fears are well founded: virtually all predators native to Madagascar are highly sensitive to toad toxins. If they should eat the toads, it would be a potentially fatal mistake. 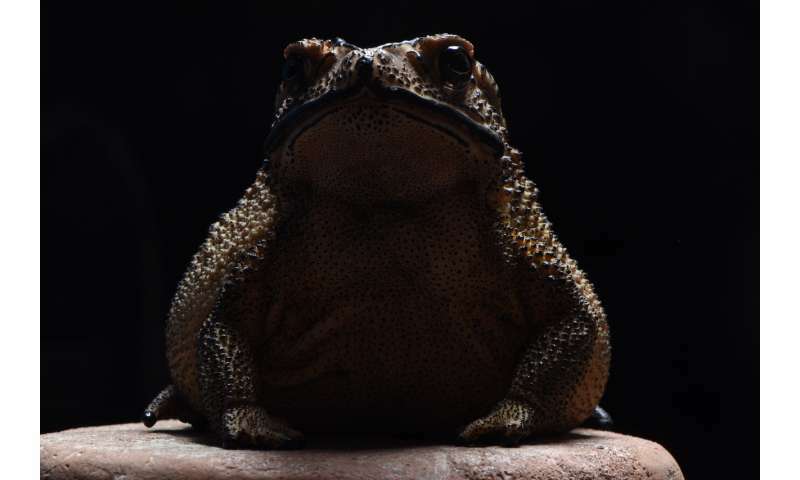 "In Australia, the introduction of cane toads has caused profound perturbation to many ecosystems by removing key predators from local food webs with their toxins," says Wolfgang Wüster of Bangor University, United Kingdom. 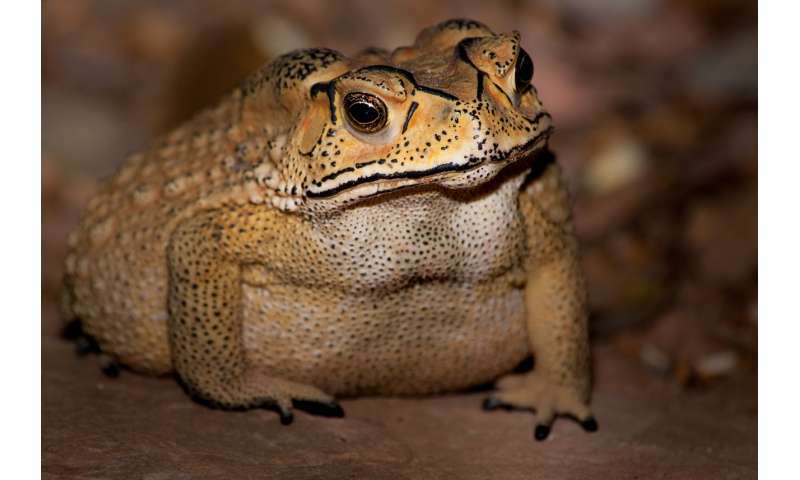 "Similar effects are likely to occur in Madagascar, where toads were never present before, as well; predators that frequently feed on toads and do not rapidly learn or evolve to avoid them are likely to become much rarer or possibly extinct." Bufonid toads secrete bufadienolides that kill many predator species by inhibiting the sodium-potassium pump (Na+/K+-ATPase), an essential component of animal cell membranes. However, some species are known to have evolved resistance to these toxins through repeated, predictable, and specific point mutations in the gene encoding that essential enzyme. As such, the arrival of the toxic and invasive Asian toads (Duttaphrynus melanostictus) to Madagascar prompted vigorous debate over their likely impact and the actions that should be taken to control or eradicate them. "A crucial knowledge gap has been whether native Malagasy predators are indeed sensitive to toad toxins: this has been widely assumed by conservationists, but without concrete evidence," says co-author Andolalao Rakotoarison, co-chair of Madagascar's IUCN Amphibian Specialist Group. To fill that gap in the new study, the researchers analyzed sequences of the Na+/K+-ATPase gene of 77 Malagasy species potentially feeding on toads, including 27 snakes, two lizards, 12 frogs, eight mammals and 28 birds. Their studies showed that only one native species—a rodent known as the white-tailed antsangy—showed evidence of resistance to the novel toxin. The results strongly suggest that invasive toads are liable to have significant impacts on the native Malagasy fauna, and they stress the importance of controlling the spread of this alien species to prevent a worsening biodiversity crisis, according to the researchers. "Our findings confirm that the invasive toads are likely to have a significant impact on many Malagasy endemic species, adding to the country's existing conservation problems and potentially endangering many of Madagascar's most iconic endemic species, such as tenrecs and the enigmatic fossa, as well as a plethora of other species," says co-author Nicholas Casewell of the Liverpool School of Tropical Medicine. Co-author Frank Glaw, a specialist in Malagasy amphibians based at the Bavarian State Collection of Zoology, noted that the toad's tadpoles might also threaten endemic fish, as well as invertebrate predators, including water beetles, dragonfly larvae, and crustaceans. A similar study is therefore needed to assess the vulnerability of Madagascar's aquatic predators. "This is another example of how species introduced from one part of the world to another can disrupt natural ecosystems," says Ben Marshall, a master's student at Bangor University and first author of the new study. "Preventing the introduction of alien invasive species must be a top priority for biodiversity conservation."